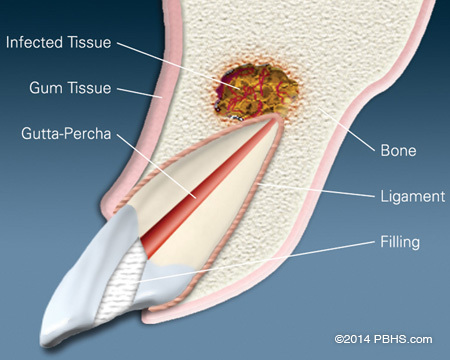 An apicoectomy is needed when a conventional root canal therapy has failed and a re-treatment was already unsuccessful or is not advised. The infected tooth is approached through the gums and the infection at the tip of the root is removed, a few millimeters of the root tip are removed, and the root tip sealed with a calcium based material. During the procedure the root is checked for cracks or other pathology that may affect the surgical success. If the tooth is cracked, or the clinical examination shows the surgical treatment will not resolve the infection, then the tooth will need to be extracted. During the preoperative consultation session, Dr. Felgenhauer will discuss the risks, benefits, and options of treatment. Copyright © 2016 Quinn Strategies. All right reserved.